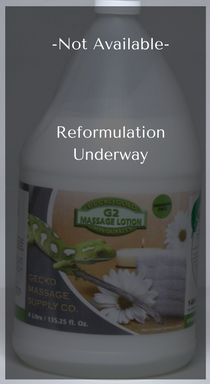 Our newly redesigned Gecko Gold G2 Lotion is simply amazing. 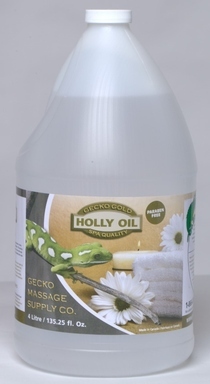 Through exhaustive research and testing we have built a super high performing mineral oil based lotion. Its clean, light with excellent coverage and glide. This lotion is unlike anything on the market and of course its hypo-allergenic, non staining and scent free. Try it again and be prepared to be wowed! Water, Mineral Oil, Glycerin, Polysorbate 20, Sorbitan Oleate, PEG-150 Distearate and Cetearyl Alcohol and Polyquaternium- 37, Phenoxyethanol and Caprylyl Glycol, Vit E.